I feel I can give an honest Algebrator review because I've personally used it for a few of my math related courses. Algebrator has its pros and cons, just as any math software, but it does an excellent job on a wide variety of different types of math - without having to pay extra for different math sub-topics. What Can the Algebrator Do? The Algebrator, along with any math software, has a learning curve. It will take a while to figure out how to input the data for advanced calculations. Just play around with it for a an hour or so to get the hang of it. Finding the GCF and LCM - No problems. Does the job perfectly every time. Factoring and Expanding Expressions - Again, does an awesome job. Complex Numbers - Took me a while to figure out a little i button in their interface that represents complex numbers, but does a fairly good job with this. Graphing Curves - Parabolas, lines, circles and more. The graphing part is perfect for the most part; however one gripe I have about the software is that it doesn't clearly label all the lines on the graph. This leaves you to sometimes guess where the exact position of plots are. Geometry and Trig - Never used these functions so I can't vouch for them. Logarithms - Algebrator was a big help with Log functions; however I never really understood logarithms so it could of been from my errors. Linear Algebra - If you're taking a class in finite math it solves matrix problems fairly well. Algebrator's interface looks like a notepad - set up exactly how you would do it on paper. Some math problems you can do just by typing it into the main interface; however, when completing upper level math problems you will have to run it through the "wizard". The wizard will open up a whole slew of different types of problem templates for you. 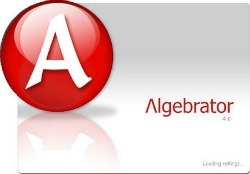 The first class I used with Algebrator was an Algebra I, which my school offered online. I have to admit when I started using this software I abused it a bit. When taking online classes it is very easy to just type in the problem and magically get an answer. This way though, you don't learn much for any upcoming math classes. Obviously if you are taking math in-seat, you can't take your laptop and start plugging away at questions during a test; however one of the nice things about the software is that it will show you a step-by-step rundown of how it got to an answer. This way you can review every step of the process to see where you messed up. You can even control how much information it gives you; a low setting would skip many easy steps, while high shows you every little step the Algebrator took to solve a problem. I sent two emails to customer service and I was very impressed with how fast they were at getting back to me. In the first email, I asked them how the Algebrator could help me with a certain problem. Not only did they email back within 24 hours stating how to do it on Algebrator, but they also gave me a TON of detailed information on the problem free of charge. The Algebrator can do anything a TI calculator can do, and for roughly half the price. 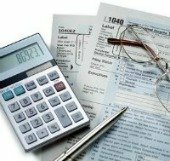 The benefits fully outweigh the cost of the Algebrator, which is at its lowest price ever. While you might need a calculator for tests, you might be able to get away with not buying a big fancy one if you have the Algebrator handy. When I used Algebrator, 95% of the problems I inputted were exactly correct (the remaining 5% could of been my error from entering in the data). There is a learning curve that you will have to pass in order to get the most out of the software, but nothing too complicated. I fully recommend the Algebrator to anyone that struggles with math, especially those who have to go no further than Algebra I and II. If you don't struggle with math, I have no idea why you're reading this Web page =).